We understand the importance of those little finishing touches that make the bathroom truly yours. 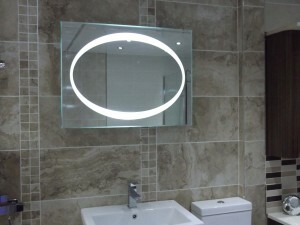 Without the finishing touches that personalise your bathroom we know that it will be just another bathroom. We have a wide range of accessories and mirrors in stock so that you can choose items that reflect your personality and lifestyle. We sell a wide range of illuminated and LED mirrors, we are sure to have something to show you that will delight, excite, and compliment your bathroom for many years to come. As well as our wide range of illuminated mirrors and accessories we can also supply and fit a wide range of heated towel rails and radiators. From a traditional white enamelled radiator to the most modern, contemporary chrome or powder coated, energy efficient units, we have a full range that will suit any bathroom style and budget. At Apollo Bathrooms we have a range of lighting choices available and our expert electricians can install your choices with the famed Apollo guarantee on parts and labour. From low power halogen through to the latest colour cycling LED systems we have the perfect lighting system for your bathroom to add the finishing touch. Relax knowing that at Apollo we care about every aspect of your bathroom from the floor to the lights and contact us for information about our bathroom planning and design service.